Australia Post will now be opening a shop front at Terry White Pharmacy (lower level) at Westfield Carindale. 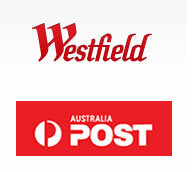 As reported in January, the post office was forced out of Westfield and is moving to the Metropol centre (on the border of Mount Gravatt East, Carina & Carindale). Ross Vasta MP said that the move was due to a clash of egos unable to come to a better arrangement. “You will all recall that I lobbied Australia Post on behalf of Carindale residents for Australia Post to retain a presence at Westfield Carindale and they have done so,” Mr Vasta says.